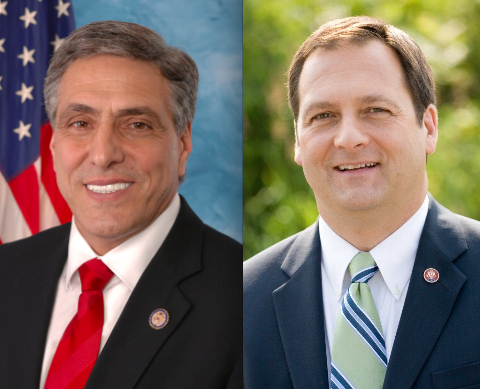 Two Democrats in the 11th district tell PoliticsPA that they received a telephone poll from the Democratic Congressional Committee testing Rep. Lou Barletta (R-Luzerne) against former Rep. Chris Carney (D-Susquehanna). It’s the first step in an effort by Dems to recruit a challenger to Barletta, whose district is darker red than the party’s 2012 congressional targets. “I know the DCCC is recruiting him hard,” said one northeast Pa. Democratic operative. A DCCC spokesperson declined to confirm the poll or to comment on recruiting, beyond saying that efforts are ongoing nationally. 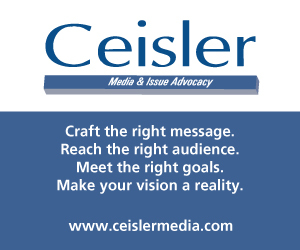 Committees typically conduct polls in order to convince prospective candidates to consider a run for office. PoliticsPA was unable to reach Carney, but a source close to him said he’s looking closely at a run versus Barletta – and a possible bid for Lieutenant Governor. Several efforts to contact Barletta’s campaign were unsuccessful. Carney has an attractive profile for Democrats. He served in the U.S. naval reserves for several overseas tours of duty, and has worked as a counterterrorism analyst. He defeated an ethically challenged Republican incumbent in the Democratic wave year of 2006 and easily held on to the 10th district in 2008. But after voting for Obamacare, he was swept from office in 2010 by Rep. Tom Marino (R-Lycoming) who won by over 10 points. Carney went on to work in government affairs for BAE systems, a defense contractor, in 2011. At the same time, Republican mapmakers were re-drawing the 10th and 11th congressional districts. Though Carney’s home in Dimock, Susquehanna County remains in the 10th district, most of his base was moved to PA-11. Barletta’s district now has 24% of the constituents of the former 10th. The law doesn’t require congressional candidates to live in their district, so Carney could still challenge Barletta. Dem efforts to oust Republican incumbents in southeastern Pa., where Obama performed relatively more strongly compared to the rest of Pa., failed totally in 2012. Barletta’s district is more conservative than those of Reps. Mike Fitzpatrick (R-Bucks) or Pat Meehan (R-Delaware), but based in the Scranton and Harrisburg media markets, a race in the 11th is relatively cheaper to run. It’s still an uphill slog. The district gives Republicans a 44.7% to 43.4% voter registration advantage, according to Labels & Lists. But Romney won the 11th by 9.4 points in 2012 and McCain won by 4.9% in 2008. George W. Bush won it by 16.2% in 2004. Barletta built upon his 2010 win (when he defeated Rep. Paul Kanjorski by 9.4%). Last year, he cruised past good government advocate Gene Stilp (by 17%). Stilp told several party activists at the recent Democratic State Committee meeting that he was already planning to challenger Barletta again in 2014. Carney would be a HORRIBLE candidate! He lost by 10 points in 2010! Holden should run here. Holden is out of Washington, and that’s probably for the best. Matthew Cartwright pretty much ruined any credibility he had and if he decided to run against Barletta, all Lou would have to do is run old Cartwright ads against Holden and case-closed. Vinsko is probably the best choice, and he could do it if he gets his act together and mounts a legitimate campaign next time, complete with actual staff and organizers. What the Democrats need is someone from Luzerne County or Columbia/Mountour Counties. There aren’t enough votes in the southern part of the district to make a difference for a Democrat from that area in a general election. In other words, Gene Stilp needs to stay home. In fact, if the Dems could give Vinsko all of Stilp’s energy and dogged determination, combined with Vinsko’s ability to raise money and knowledge of the issues, you’d have the perfect candidate. Holden could win this seat! But the problem is that he DOES NOT LIVE in the Congressional District. I am aware that you don’t have to live in the district but I believe a candidate would be far more successful if they did. This seat is beatable but I see Holden as the candidate to do it. 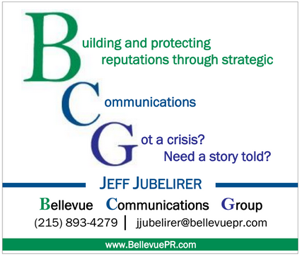 He is very well known and popular in much of the Distrtict, esp Dauphin County. Why does Stilp run for this seat? He came within a razor thin margin of beating Helm for the State House seat in the very Republican year of 2010. Why doesn’t he try to unseat Helm which is doable? When you don’t spend any money, you can afford to run every two years….and lose. If the Dems can’t get anyone more capable than Gene to run, they shouldn’t even bother. Well if he does decide to run, I guess the RNC will have to release any of the footage of him at the Williamsport Holiday Inn. Stilp stay home! You got crushed by 17 points and your props are nothing more than a sideshow. Vinsko could have ran a more complete campaign. Carney should try it! Why not? Vinsko should be the one making the run for LT. Gov. Why he is not considering it is beyond me? Chris can really pull this off. He represented at least a quarter of this district and was on tv in half of it during his time in Congress. Lou Barletta is not a good Congressman. Barletta will win by 20 next time. He will be in Congress as long as he wants to stay. Really? This is the best the DCCC can do? A candidate who represented a small portion of this district and does not even live in it. The Democrats would be better off with someone from Dauphin County or even Holden.